Essaouira in Morocco is a coastal town not far from Marrakech, famous for it’s blue and white French style buildings. It was also used as a film location by Orson Welles for his movie of Shakespeare’s play Macbeth. This painting is of a local market square well known for that location. Trevor has painted the light filtering on the square using large areas of impressionistically applied colours. 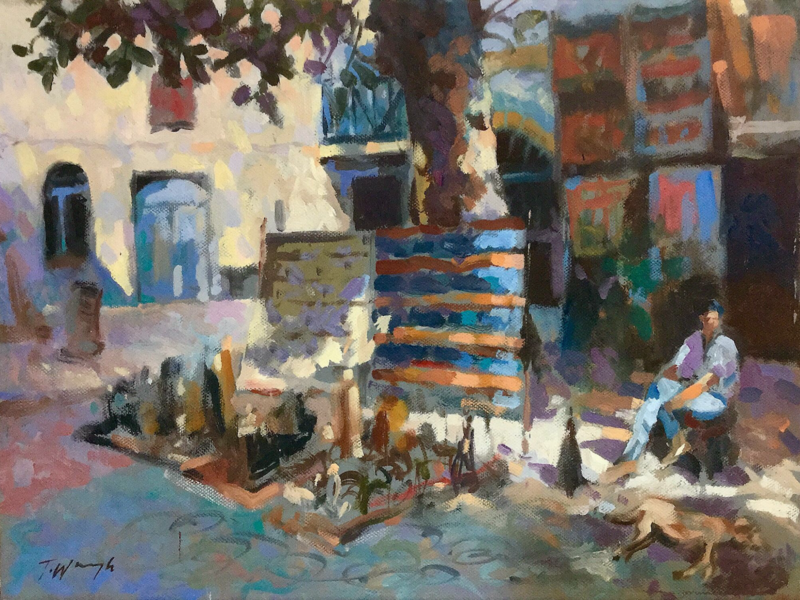 There is an array of goods laid out in the afternoon with sunlight patterns filtering through the large tree and illuminating a figure and a sleeping dog.